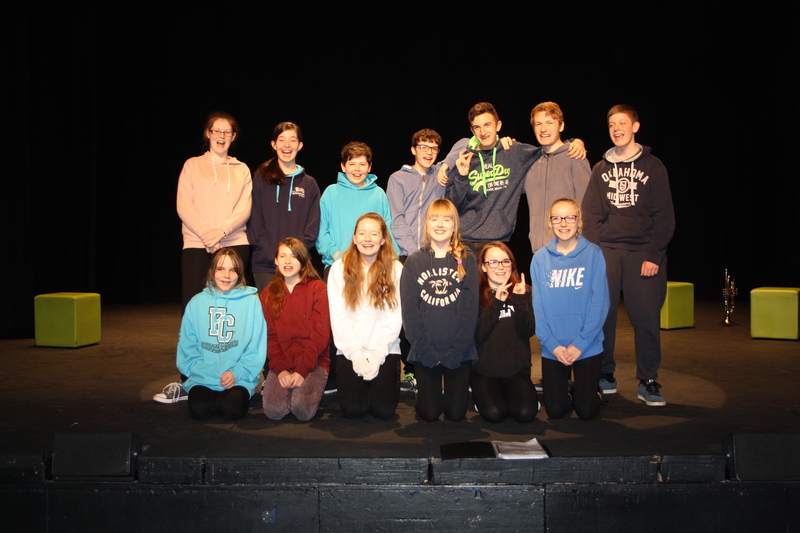 I am pleased to report that for the second year running Winsford Academy drama department have entered and performed at The Shakespeare Schools Festival. 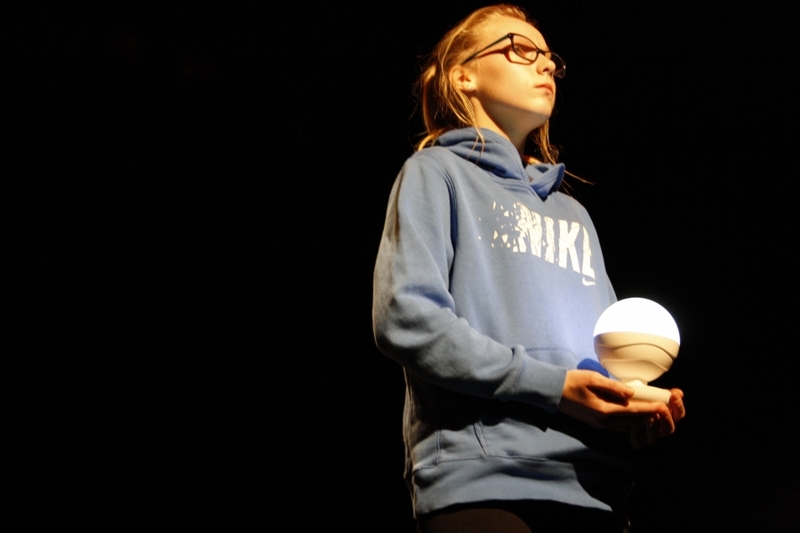 Last year the students performed Hamlet and this year the students performed Othello. 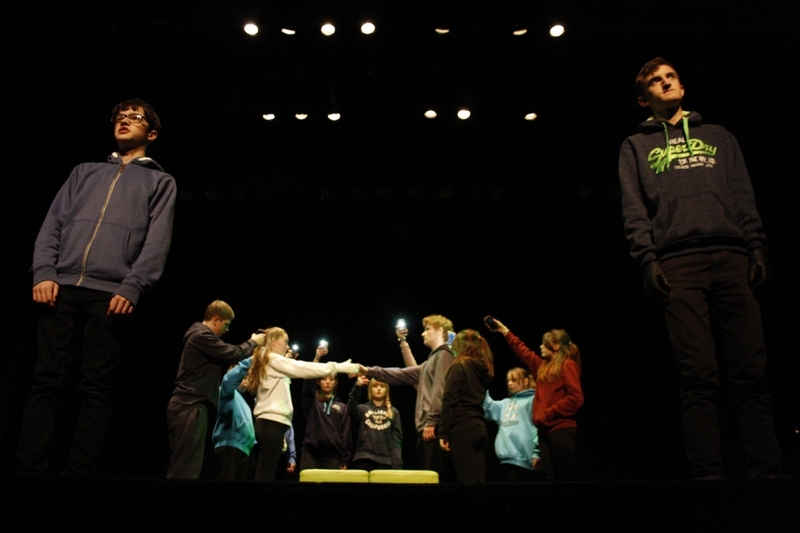 The Shakespeare Schools Festival is the largest drama festival in Europe. The story of William Shakespeare’s Othello is set in 16th-century Venice and Cyprus. Othello the Moor, a noble black general in the Venetian army, has secretly married a beautiful white woman called Desdemona, the daughter of a prominent senator, Brabantio. When he finds out, he is outraged, and promptly disowns her. The jealous Iago hatches a devious plan to plant suspicions in Othello’s mind that Desdemona has been unfaithful to him with Cassio. Maddened by jealousy, he orders Iago to murder Cassio, and then he strangles Desdemona. 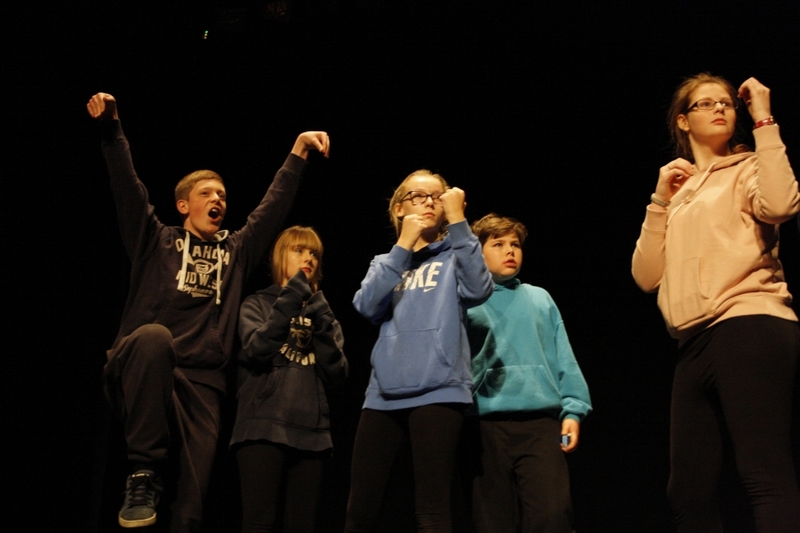 The Academy students, ranging from years 8-11, performed live on Crewe Lyceum stage on 23rd November 2016. 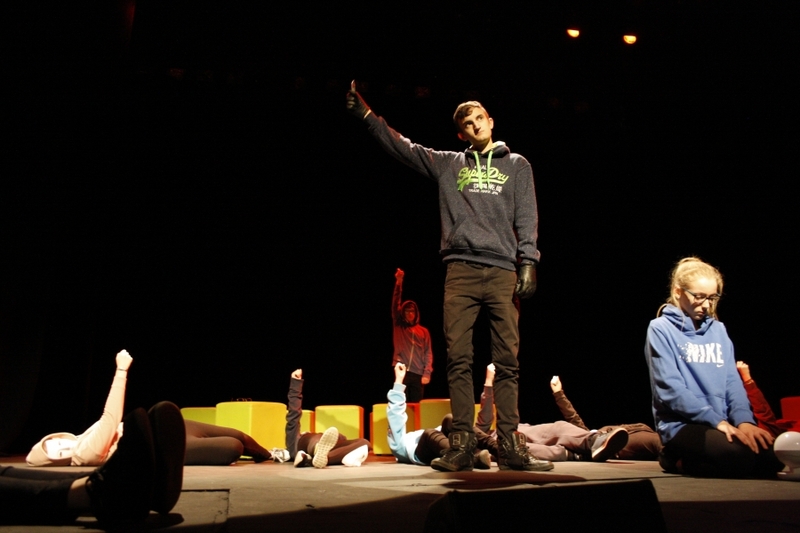 This was an ensemble piece where every person on stage formed a crucial part of the action. 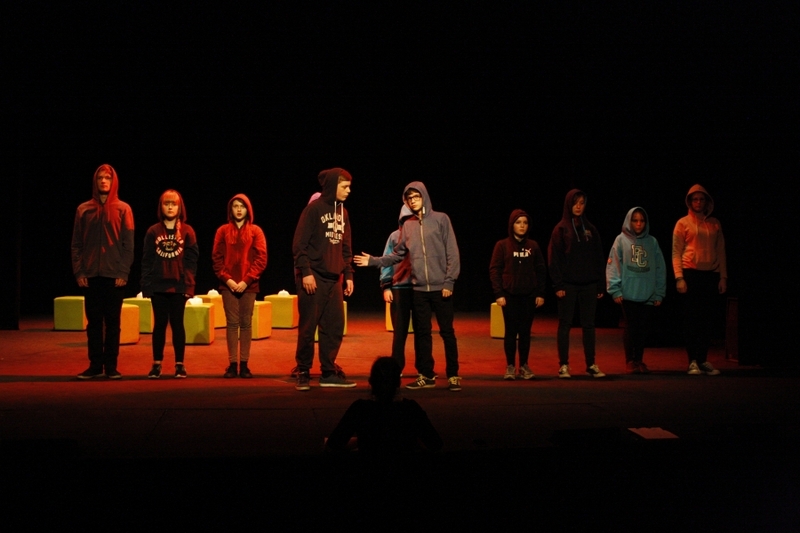 The students used a range of modern drama techniques to perform this classic Shakespearean story, giving the piece a modern day relevance using hoodies, caps and mobile phones. The supporting cast were able to create strong visual images of the thoughts going through Othello’s mind during his moments of emotional torment. 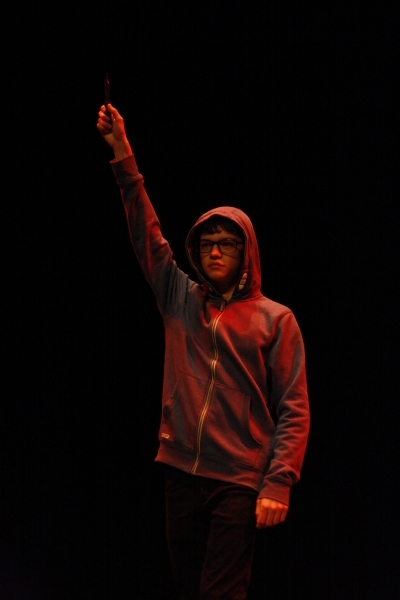 Our school were last to perform on the evening. 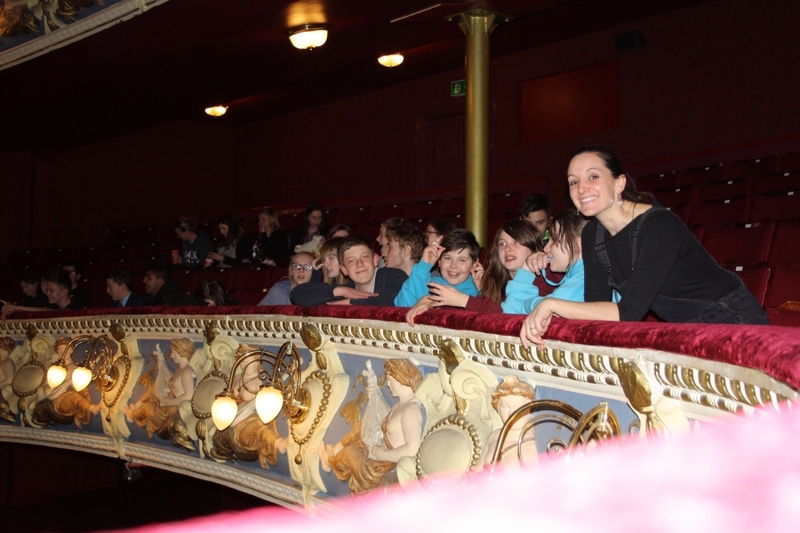 Other schools who performed were Brine Leas (Nantwich), Hartford (Northwich) and Rosebank (Northwich). 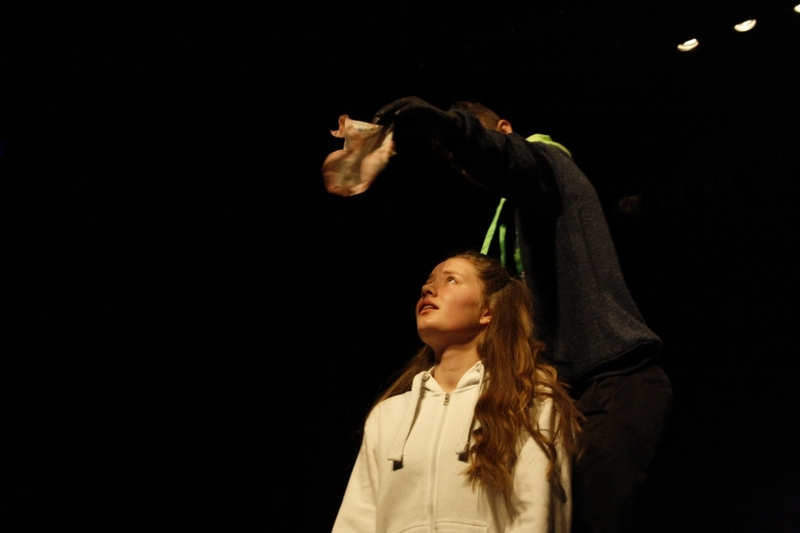 It is wonderful to give these students the opportunity to perform Shakespeare as it was intended. Too many students have negative feelings towards Shakespeare as often they have studied his plays in a classroom rather than living it, feeling it and breathing it! Shakespeare’s plays were written to be performed, not read in a classroom. 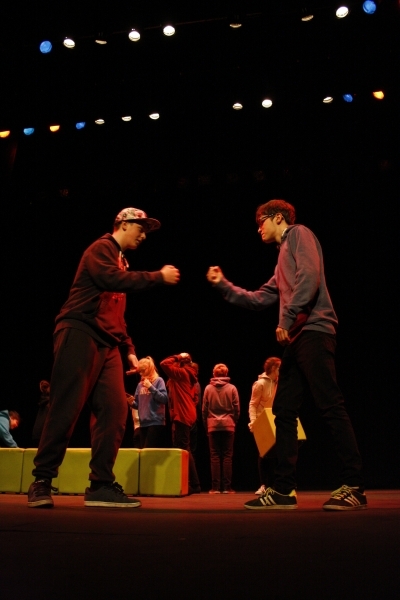 The Shakespeare Schools Festival have allowed us to do just that on a professional stage alongside other school. 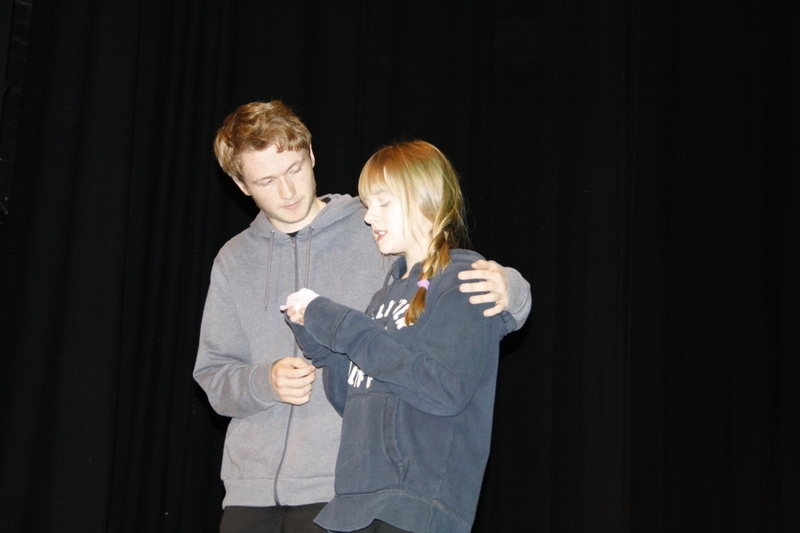 What a wonderful opportunity for Academy students who have grown in confidence, grown in their love of Shakespeare and made new friends from other year groups and schools. We absolutely hope to be involved in this event next year. 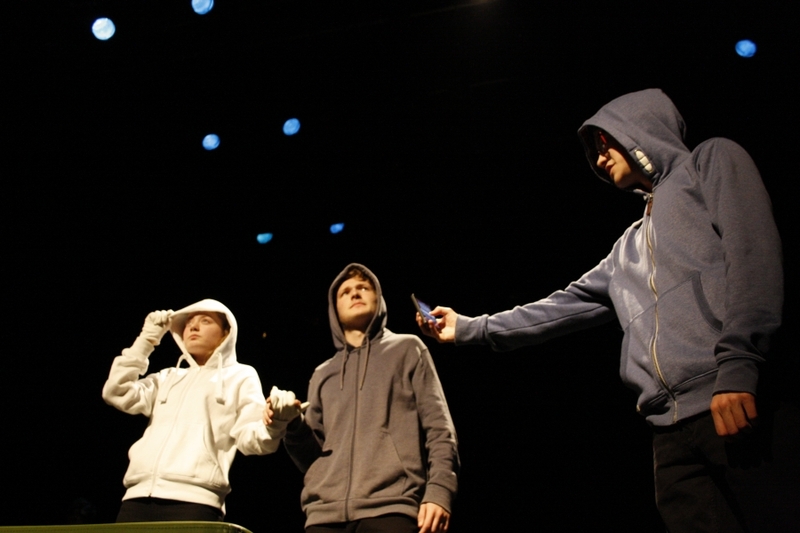 I will be sad to see our super talented year 11 students leaving this year who have been involved in the Festival for two years running; Sam Corbin (Iago), Ethan Budgen (Othello), Michael Jeffries (Cassio) and Rhiannon Edwards (technician).